AMERICAN R&B star Lauryn Hill is heading down under for Bluesfest. Festival organisers announced her exclusive show this morning. She joins a stellar line-up that also includes Lionel Richie, Kesha, Sheryl Crow, Robert Plant and The Sensational Space Shifters, John Butler Trio and rising Aussie star Tash Sultana. 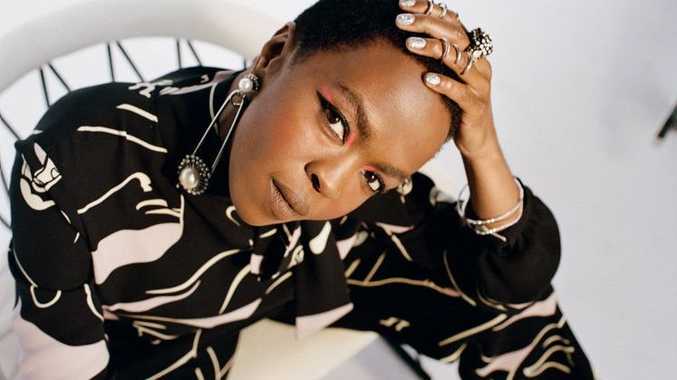 Hill, who is best known for her work with hip hop group The Fugees and her subsequent hit solo album The Miseducation of Lauryn Hill, will perform at Tyagarah on Friday, March 30. The Miseducation of Lauryn Hill won five Grammy Awards the year it was released and has gone on to be included in dozens of 'greatest albums ever' lists such as Mojo's 100 Greatest Albums of Our Lifetime, Q's Top 100 Albums Ever, Rolling Stone's 500 Greatest Albums of All Time and it came in at number two on NPR's 150 Greatest Albums Made By Women. Ms Hill also starred opposite Whoopi Goldberg in the 1993 movie Sister Act 2: Back in the Habit. She last performed in Australia in 2010 at the Raggamuffin Music Festival. Ms Hill hasn't released an album since The Miseducation of Lauryn Hill, but has guest starred on various tracks by artists including John Legend, Method Man, Joss Stone and Ronald Isley.